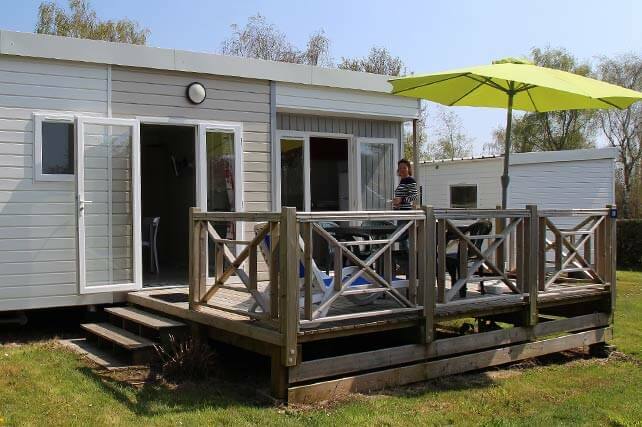 Your camping holiday in Finistère : Fouesnant-Les Glénan in southern Brittany here we come ! 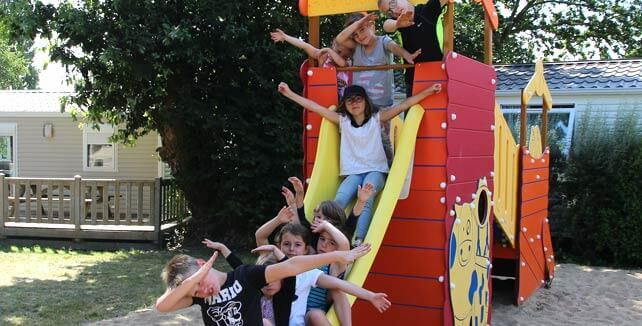 Looking for a family friendly campsite in a peaceful environment on the southern coast of Finistère ? 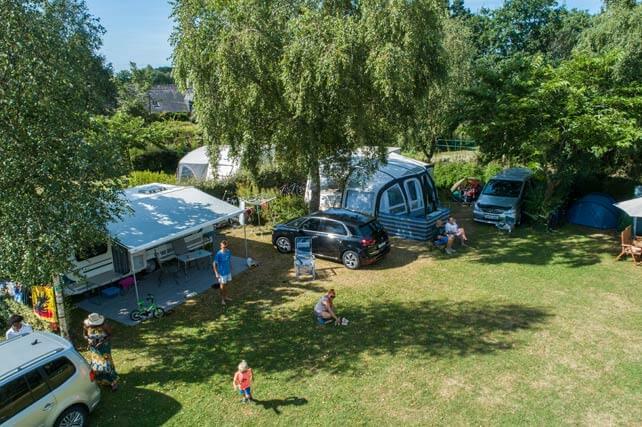 Look no further than our 4-star campsite La Piscine in Fouesnant-Les Glénan, the ideal destination for your next holiday in southern Brittany ! 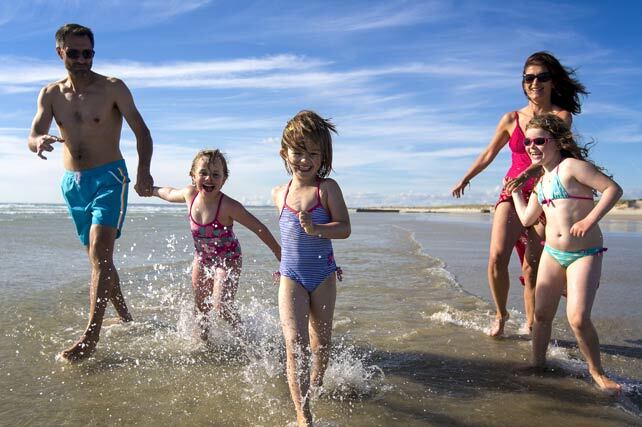 A heated waterpark and covered pool, activities and entertainment for the whole family and a beautiful white sand beach a stone’s throw away… our 4-star campsite offers everything you could wish for on the Breton Riviera, a popular coastal resort in southern Finistère. Choose from our range of 40 mobile homes and luxury « Taos » cottages located within a 5 hectare wooded park ablaze with flowers. Our 2 and 3-bedroom models offer maximum comfort for your holiday by the sea in southern Finistère ! If you prefer a traditional camping experience in your tent, caravan or motorhome, our 105 pitches offer an aura of peace and tranquillity. If a heated pool is high on your list of priorities when booking a campsite, you’ve come to the right place ! Our campsite, as its name suggests (Piscine=Pool !) 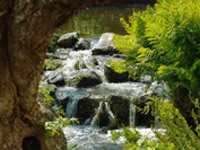 is the perfect choice for a fun-filled water extravaganza ! You can relax around the pool, take a dip in the heated covered pool whilst your children play in the paddling pool. Parents can also relax in the sauna, hammam and jacuzzi. One of the advantages of being on the coast is the easy access to the beach. Coat Clevarec, one of the most beautiful beaches in Fouesnant, is a lifeguarded beach which has been awarded the Blue Flag certification. It can be reached along a path which leads you straight to the ocean. On the horizon, the deep blue sea and the Glénan islands ! 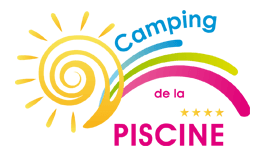 The 4-star campsite La Piscine also offers entertainment and a whole range of activities for all ages : kids’ club, games, bouncy castles, multisports court, sports tournaments, aquagym, fishing, not forgetting our dance nights, concerts and shows to keep you amused of an evening. 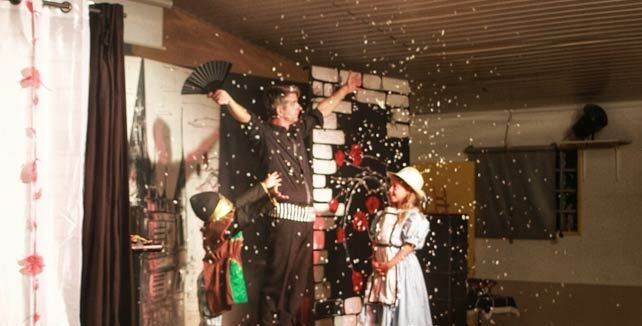 Discover southern Finistère departing from the campsite ! 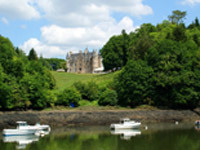 Make the most of your holiday in Finistère to explore this stunning area of southern Brittany : Fouesnant, a pretty coastal town in southern Finistère, the Glénan Islands, La Forêt Fouesnant, Bénodet, Concarneau, Quimper, Pont l’Abbé… On the agenda : watersports, boat trips, hiking along the GR34 coastal trail, cycle touring, parks and gardens, megalithic sites and ancient chapels, local markets and Breton gastronomy… So why wait, book your holiday in southern Finistère now ! AccommodationsA range of comfortable mobile homes for two to six people... Pitches105 delimited pitches in a 5 hectare park, in tents, caravans or motorhomes.